Sometimes a mistake yields unexpected rewards. That’s what happened yesterday. I had expected to join a new song circle starting at the Yachats Commons. At 3:00, I showed up with a stack of music books and my guitar, my voice all warmed up. But the doors were locked, and the room was dark. I waited a little bit in the car, not understanding why no one else was here. Then I decided, since I was already in Yachats and had been meaning to explore Yachats River Road, I’d do that instead. It was a gorgeous sunny day, God’s reward for all the gray days we get here on the Oregon Coast. Just south of town, I took the steep left turn onto the river road. First thing I saw was a tile roof in all the colors of the crayon box. Cool! Soon the houses opened up into views of the river and vast emerald pastures full of cows and horses. How I envied the homeowners working in their gardens on the north side of the road with that amazing landscape to see every day. I drove on. In the Bay Area, one can find rural roads to explore, but there are always other cars with drivers who are anxious to drive fast, riding on your bumper or passing with obscene hand gestures if you slow down to look at the scenery. Here, I had the road to myself, passing only a man and his dog along the way. Even better, the road has numerous graveled pull-outs where one can park and take pictures. The road comes to a junction at 7 miles. A right turn takes you to Keller Creek and beyond that to Cape Perpetua. A left turn, the one I took, takes you up North Yachats River Road. The pavement quickly turns to muddy gravel, and the road gets narrow, but at 9 miles is one of Oregon’s famous covered bridges, and the scenery along the way comforts the soul. I took my time, shot lots of pictures, and then I turned back. 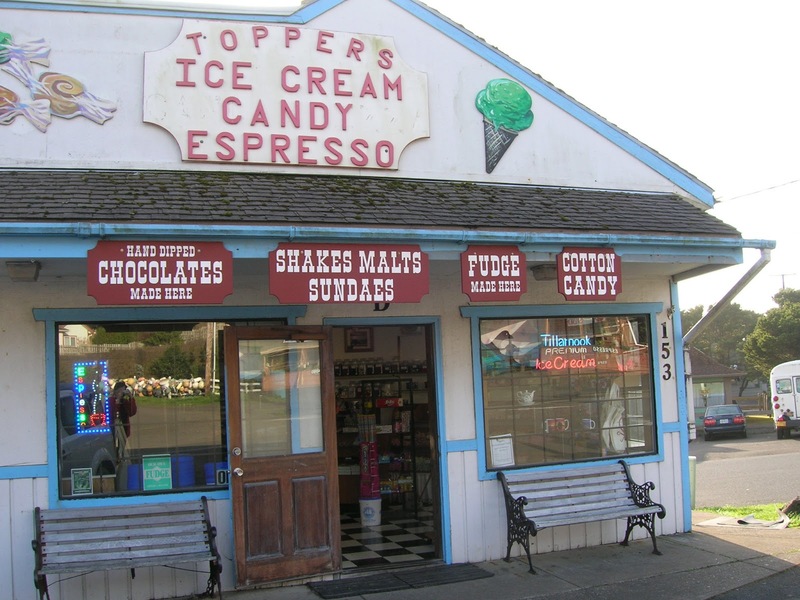 In town, I treated myself to a chocolate chip mint ice cream cone, the scoop of green Tillamook ice cream almost as big as my head. I took it to the edge of the ocean, watching the waves and guzzling my ice cream cone as a pug in the next car stared, jealous. Heaven. If you want to drive up Yachats River Road, look for the steep turnoff on the left just after you pass the heart of town, and head on up. There’s a place about a mile in to park and hike. If you go on to the unpaved portion, know that it’s not recommended for RVs, and I wouldn’t do it in a fancy car. My Honda Element took it just fine, but it got a new coating of mud. Definitely take a camera. 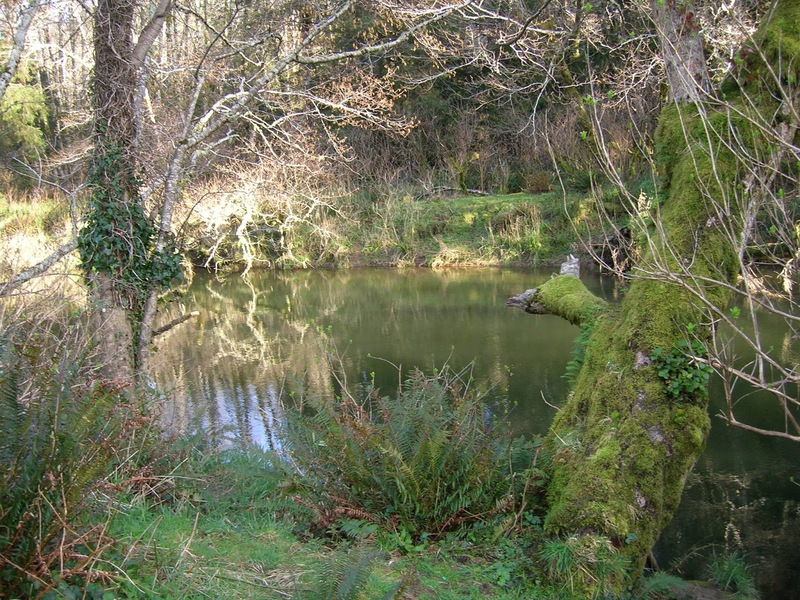 For more information about Yachats’ attractions, visit http://www.yachats.org/greatoutdoors.html. 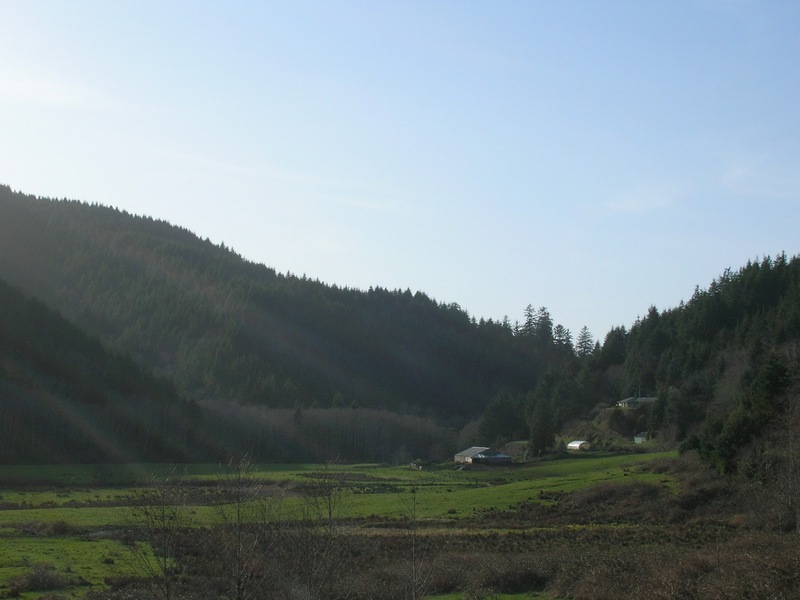 As for the song circle, if you want to come sing with us, bring your voice and your instruments to the Yachats Commons, Highway 101 and 4th Street, NEXT Sunday, March 10 at 3 p.m. We’ll be in Room 8, which is on the side facing Bank of the West.